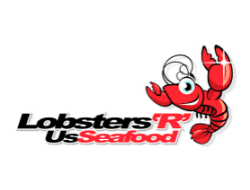 Lobsters ‘R’ Us Seafood is Atlantic Canada’s most energy-efficient seafood facility and is a state of the art, registered, modern storage and marine processing facility. They provide premium quality lobster and snow crab to local, provincial, national and international customers. The Lobsters ‘R’ Us Seafood facility, originally built in 2004, has been upgraded every year in order to accommodate yearly increases in business. The Lobsters ‘R’ Us Seafood Facility receives, processes and stores lobster and snow crab that has been purchased from local Nova Scotia fishermen. The Lobsters ‘R’ Us Seafood facility has a holding capacity of 1,000,000 pounds of live lobster and has a freezer capacity of more than 500,000 pounds. Their facility handles an annual volume of more than 2 million pounds of lobster and over 4 million pounds of snow crab. The Lobsters ‘R’ Us Seafood facility is both CFIA and FDA registered and they are confident in their ability to provide the freshest catches at an optimal fair market value.